Liverpool band Her’s have died while on tour in the U.S. Norway’s Audun Laading and Barrow-born Stephen Fitzpatrick were killed in an early morning road accident en route to a gig in Santa Ana, Calif., on Wednesday, along with their tour manager Trevor Engelbrektson, as revealed by the duo’s label Heist or Hit on Thursday. Laading and Fitzpatrick met while playing in the rhythm section of Brad Stank’s band (fka Sundogs), with a deep friendship underlying the formation of their own group. Their debut album Invitation To Her’s was released last year, following 2017 compilation Songs of Her’s, and combining new wave and dream pop to craft a catchy and unforgettable sound. 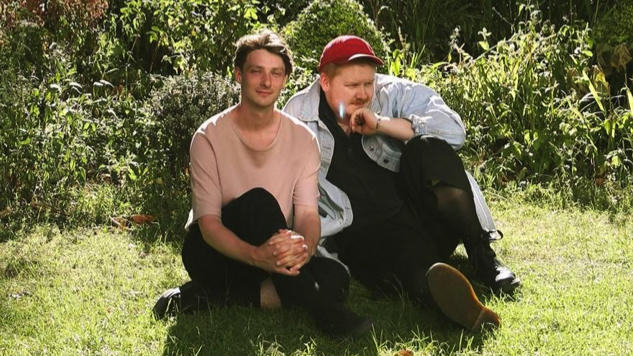 Last August, Her’s graced the list of Paste’s 15 new Liverpool bands you need to know. Whether you’ve streamed their music or had the pleasure of seeing Her’s play live, it was clear that this talented pair of artists had years of music ahead of them. Their energy, vibrancy and talent came to define our label. As humans, they were warm, gentle and hilarious. Each time they stopped by the office made for an uplifting experience. To say they were close would be an underestimation of a friendship that was genuinely beautiful to witness; they loved one another like brothers. Musically, Her’s were astonishing. An aptitude for melody, fun, and entertainment combined with a complexity that was as sophisticated as it was stylish. They were in America playing to thousands of adoring fans. Fans they made a point of meeting and spending time with, such was their passion and humbleness. The world was at their feet. Everyone here at the label is overwhelmed and distraught. We have lost our friends and the world has been denied their talent. “Our thoughts and prayers are with the families of Stephen, Audun and Trevor, please respect their privacy at this extremely difficult time,” the message concluded. Since hearing the news, members of the music community have paid tribute to Her’s via social media. See a few of those tributes and Her’s electric performance at the Paste Studio below.